Biography: Hande Ercel become the second most beautiful woman in 2012 Miss Cilivaliton of the World organized in Azerbaijan. She made her debut with her role Selin in popular Turkish drama Sunshine Girls (Gunesin Kizlari). Biography: Sebnem Hassanisoughi’s father comes from Iran and her mother is a Turk. Her father is a lawyer and her mother works at notary. Apart from acting, Sebnem Hassanisoughi also plays instruments such as guitar, drum, and harmonica. Other: Onur Saylak took part in various theatre plays during university education. While he was going to Bilkent University, he took part in various theatre plays such as “Getto” and “Uc Kurusluk Opera” at Ankara State Theatre and “Despite Everything” at Bilkent Theatre. He also worked as theatre director at Ankara TED College. He participated to university chorus and interested in musical plays (Biedermann ve Kundakcilar). He wrote songs for various theatre plays. 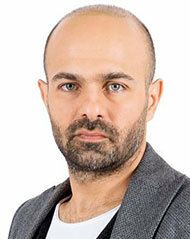 He became a presenter of the TV program named Lets Go (Hadi Gidelim) at TRT2. 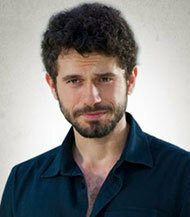 He started his debut at televison with his role at Turkish movie Autumn (Sonbahar).